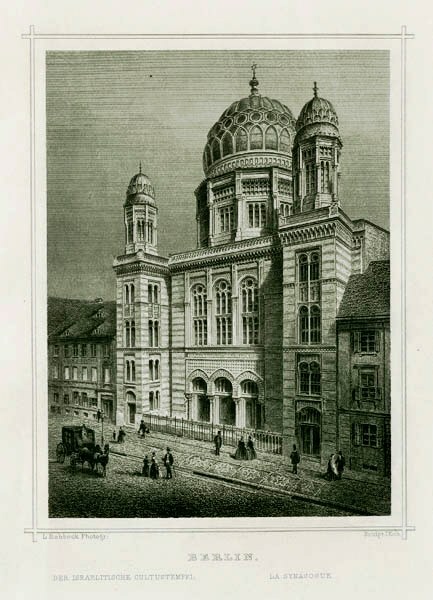 Berlin: Der israelitische Cultustempel (1883), engraving of the Oranienburgerstraße Synagogue by Joseph Max Kolb, from a photograph by Ludwig Rohbock,1875. Courtesy of Robert Springer, Berlin, die deutsche Kaiserstadt, nebst Potsdam und Charlottenburg (Lange: 1876). This project takes a comparative approach to building projects initiated by Jewish communities in Amsterdam, London, Berlin, and Paris. 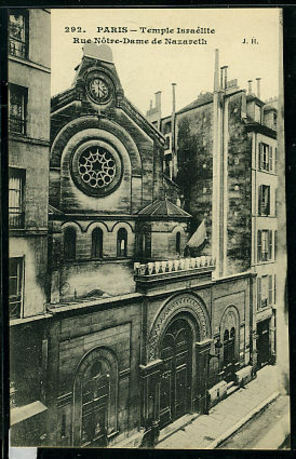 By crossing the conceptual boundaries of history, architecture, and urban studies, it explores the dynamic relationship between synagogue building and Jewish identity in nineteenth-century Europe. Many communities initiated building projects at this time, consciously tying synagogues to the new public face of Judaism. 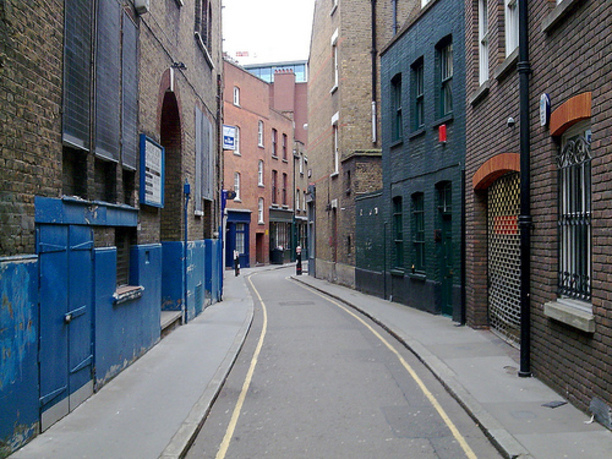 Indeed, synagogues took on a new central role in mediating Jewishness in a modern society. By examining the debates over architectural style, location, size, spatial lay-out, reform, and etiquette—all of which were related to Jewish self-representation and acculturation in predominantly Christian societies—we gain a more nuanced view of how Jews saw themselves and how they wanted to be seen by their contemporaries. The built environment, and synagogues in particular, thus proves a useful lens through which to gauge the complexities of Jewish life at this time. Saskia Coenen Snyder teaches undergraduate surveys on modern Jewish history and European civilization, as well as a specialized undergraduate course on the Holocaust. She also offers graduate seminars in modern European history and in dissertation prospectus writing. Coenen Snyder received her PhD from the University of Michigan in 2008 and is currently an assistant professor of modern Jewish history at the University of South Carolina. She is actively involved in setting up a new, interdisciplinary Jewish Studies Program at USC, one that will introduce undergraduate students to Jewish history, literature, religion, politics, and culture. Her own interests lie particularly in the relationship between the built environment and Jewish identity in nineteenth century Europe. 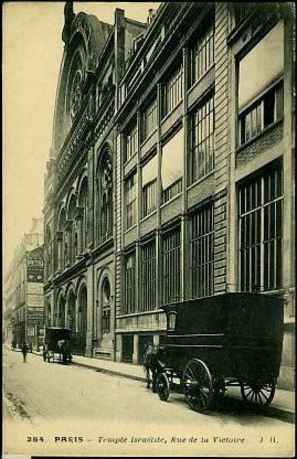 Her first book, a comparative study of synagogue building and synagogue architecture in Amsterdam, London, Berlin, and Paris explores how Jewish religious edifices became central to the public face of Judaism. Based on archival work in four different languages, Building a Public Judaism (Harvard University Press, forthcoming) crosses the conceptual boundaries of history, architecture, and urban studies. She has received support from, among others, the National Endowment for the Humanities, the DAAD, and the Foundation for Jewish Culture.